My system data is getting way too big to be true, something must be going on. It almost takes 6 GB (5.98 GB now). I've cleared cache and such but still this big. I've tried to clear my datadump logcat using *#9900# but that doesn't work and I think that's normal because that's for Samsung devices. I tried *#*#9900#*#*, and nothing happens but the number was cleared as if there's supposed to be something! Is there any other ways I can try to clear it up? maybe you didn't delete some update.zip files ? maybe you got some backups saved ? Kupluk： Hello, thanks for your reply. I'm pretty sure I have deleted them, but to make sure we are talking about the same files, where can I find those files? I'm pretty sure I have deleted them, but to make sure we are talking about the same files, where can I find those files? Sorry for the bump, but this issue still bothering me until now. Would really appreciate any help. Thanks in advance! Is this a screenshot of an sd card or of your main hard drive? Because if its the main drive its possible that all is ok. 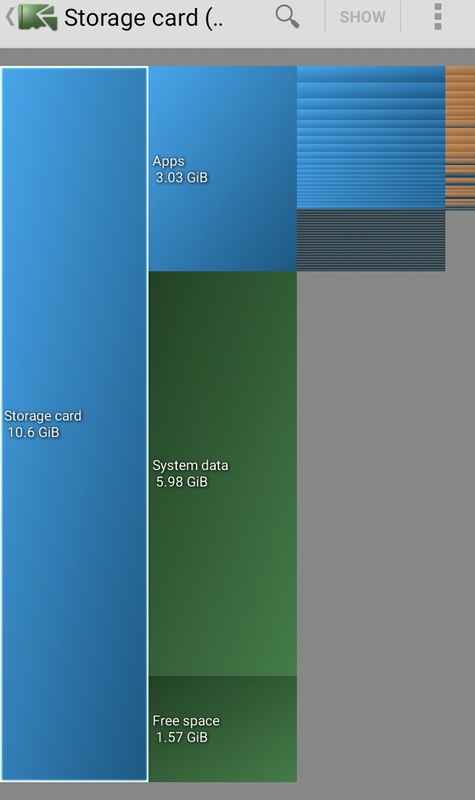 The android system needs 5-9gb.